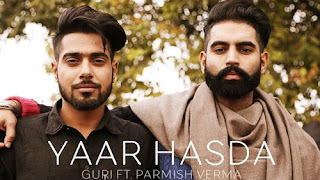 Yaar Hasda Lyrics Guri Deep Jandu Parmish Verma is new Punjabi song sung by him. Its music is given by the musician Deep Jandu and lyrics are written by Lachi. Aa gaya ni ohi billo..